Someon was eating an orange in the office and it smelled like Christmas to me. 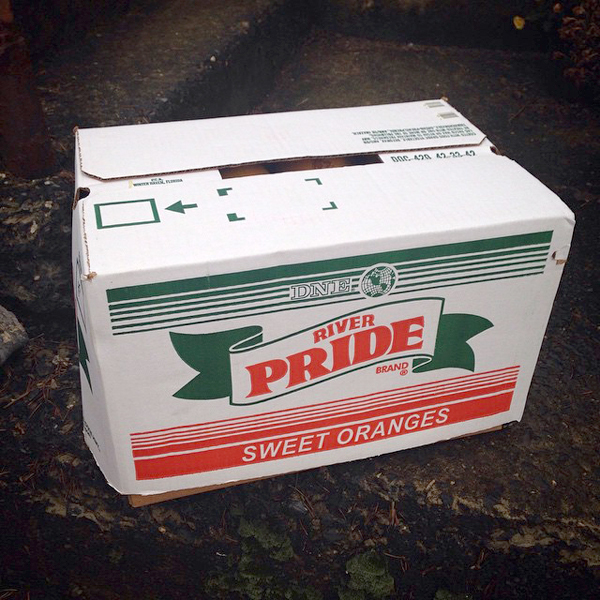 My family usually gets a box of Florida navel oranges around Christmas. We peel and eat them in the evenings when we watch TV. Apparently an orange in the toe of a Christmas stocking is a tradition. This site says "The gold Nicholas threw to provide the dowry money is often shown as gold balls. These are symbolized by oranges or even apples. So the orange in the toe of the stocking is a reminder of Nicholas' gift." When I was home my mom and I went to a few markets to find a box to split. I was putting away some boxes when I found this box from my Grandma's. 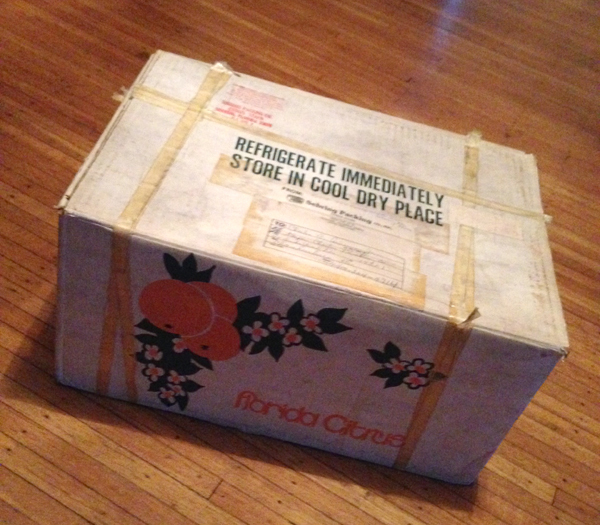 I looked at the shipping label and it was sent from my Great Aunt when who lived in Florida to my Grandpap. I guess my family has been eating oranges at Christmas for a long time. We got oranges in the toes of our stocking every single year. It was kind of a pain to get them out, but I do like the tradition! !